As most of you know, Ypke and Jethro went to the county fair last week. 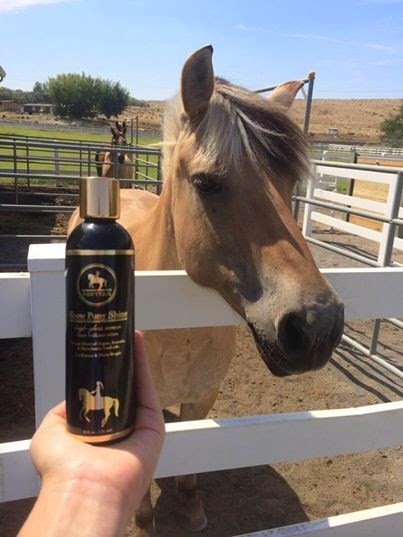 Ponytail Products kindly sent me their Show Pony Shine (a high gloss serum for manes and tails) to glitz Ypke and Jethro up for the special occasion. I really like clean, shiny ponies so I was interested to see how spiffed up I could get these two. The packaging is quite simply slick and elegant. The scent is absolutely lovely as well — definitely a relaxing aroma. To up the ante, they also use human grade ingredients. In fact, after reading the ingredients list you don't have to search up words on Google! 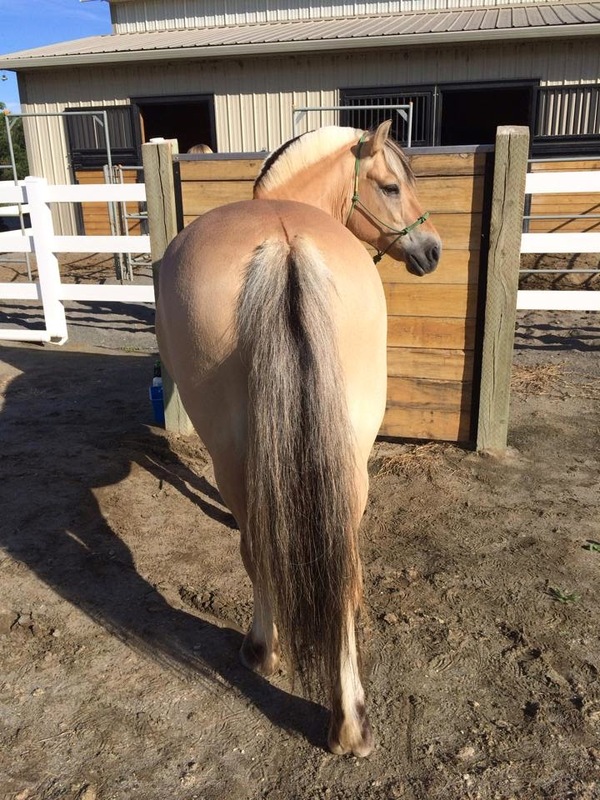 Ypke's coat itself is always super shiny, but her tail and forelock tend to be rather frizzy and dull. I figured that she would be an excellent horse to put this product to the test. I poured the serum onto my hands and began to rub it into her tail and was pleasantly surprised. You know how sometimes when you get conditioner/shine serums on your hands and they begin to feel super sticky and disgusting? This was definitely not the case! It easily soaked into her tail, and I hardly had any left on my hands after I rubbed it all into her hair. Plus, my palms felt super duper soft afterwards — this stuff is practically lotion as well! I did notice that her mane and tail were a lot less tangled and frizzy, and they had a bit more shine too. Furthermore, I also decided to test it out on my mom's horse. The left picture is before and the right it after. The pictures speak for themselves! Fair is over, and I survived. It was hectic and completely tiring, but worth it. A lot happened, and I will leave you with this recap of the classes before I relax. More to come! Haul in - Two hours for Ypke, 2 seconds for Jethro. Jethro's Green horse showmanship - The little man did AWESOME! He was on his very best behavior and did everything great, but I forgot the pattern and screwed up a bit. Despite that, we walked away with a grand champion rosette and red flat! Even though we were the only pair in the class, I do think that I deserved the red flat and he deserved the grand champion. He is an awesome little dude. Jethro's costume contest - The 'lil man dressed up as a manly harvest fairy and won the special award for his personality and a blue flat. He is one of the first, if not the very first, donkey at our fair and everyone was obsessed. We literally had to bulldoze our way out since there was a sea of people waiting to meet him. Little kids were running up behind him while waving balloons and screaming while others pulled on his ears and tail. The little dude was so tolerant and just stood there. Ypke's showmanship - Let's just say that I was "that person." It was awful. She was prancing around every which way, neighing, and was not listening to me at all. I was very confused about the pattern and freestyled it. I knew we didn't stand a chance at all, so I was just like, "Screw it, this is how it is going to be," and went this way and that during our pattern. Unfortunately, the judge just couldn't follow the greatness of it all and we came in ninth out of eleven. I don't know how people managed to place below us, but whatever. 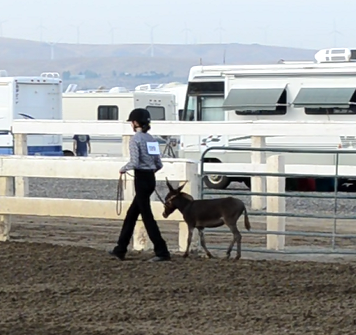 Ypke's walk/trot English equitation - I went through heck and back getting into that class. The cheek pieces on the headstall somehow got twisted and Ypke had a meltdown over that. I had to do an emergency bridle change, and then she got loose. Luckily a kind lady helped me out, and Ypke didn't go far. I was a complete mess after that ordeal and Ypke was being high-strung, but luckily my trainer swung by and really helped me through it. With a mere two minutes left before the class, I quickly warmed up,and completely forgot to put on my gloves and ratcatcher/collar. Oh, and I also dropped my black show coat in the dirt, so I guess you could say I looked like a ratchet mess going in there. Once in the ring Ypke was a little superstar, and everything went smoothly with no issues. The judge docked me down for "inappropriate apparel" (missing ratcatcher/collar) and picking up the wrong diagonal once. She also said my legs were rather far behind me. We pulled away with a grand champion rosette and red flat. 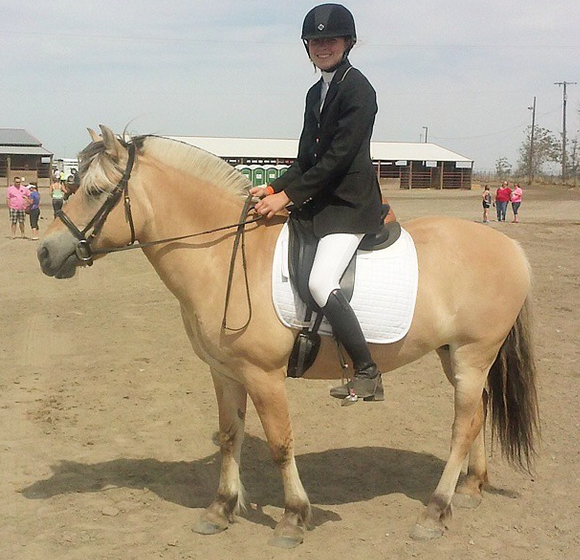 Pretty much my equitation was bad, my apparel was a mess, and Ypke did great. Ypke's walk/jog Western equitation - This time I was against numerous other people. I rode Ypke in her snaffle with two hands and thus was marked down some points right from the start. When we were asked to trot our horses, Ypke stopped and urinated. What a great way to start a ride in the ring! Luckily we did great after that and nailed everything. 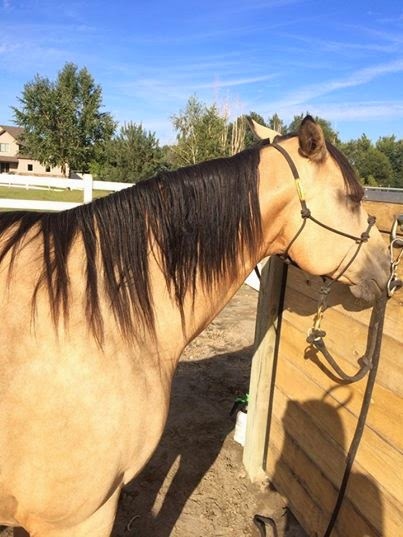 Ypke did a great slow western jog and completed the pattern flawlessly. We won a blue flat and grand champion. To make it sweeter, I wasn't nervous at all during this ride. Dressage - They ran this way ahead of time and I had all of 5 minutes to tack up, get dressed, and head to the ring for our Intro B test. I rode her in a French link snaffle that I had only ever ridden her in once (and it went AWFUL that one time). I didn't get to warm up at all and pretty much mounted up and went into the ring immediately. Surprisingly, I wasn't nervous at all. Ypke really wanted to move out, but she was listening well. 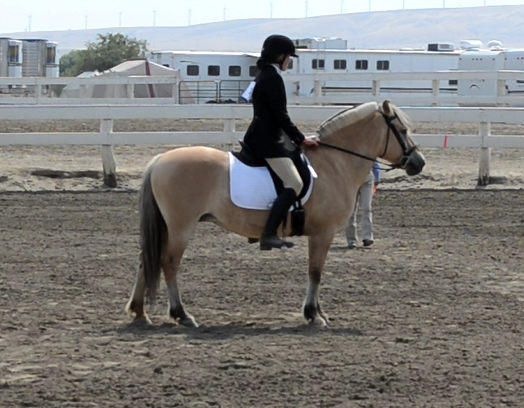 The judge said we had soft transitions, quiet cues, nice impulsion, and were overall very straight (also- my leg was not too far back behind me!) However, we do need to work on adding more bend in our corners and circles - something I have never really thought about or focused on. We received a blue flat and grand champion. 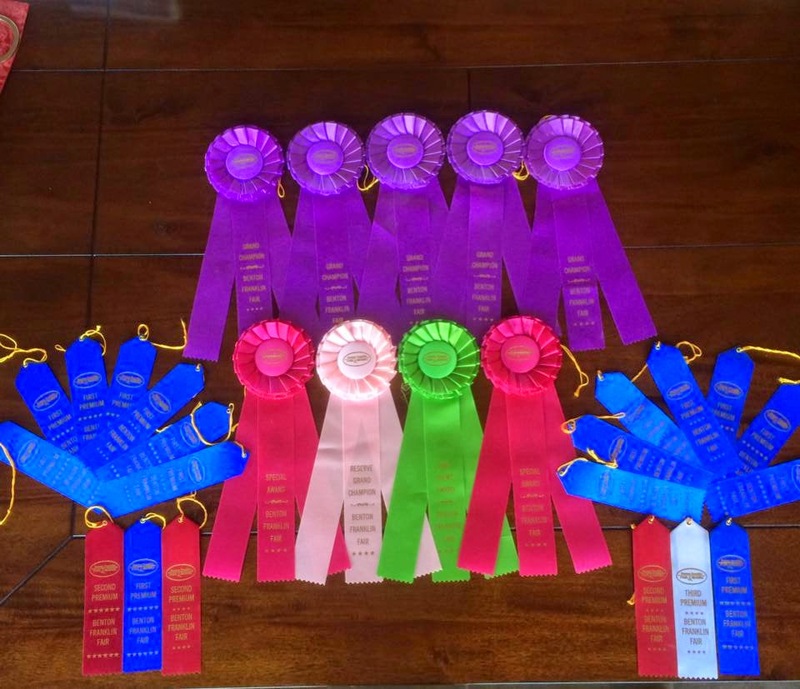 Photography - I won reserve grand, the special award, and the fair theme award. All of my other photos received blue flats. Public presentation - I did this on therapeutic donkeys and received a blue flat and grand champion. 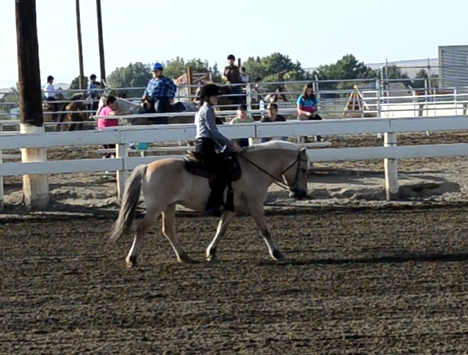 I couldn't have asked for a better horse last Thursday at our 4-H ride meet! Here is a brief summary of it all. 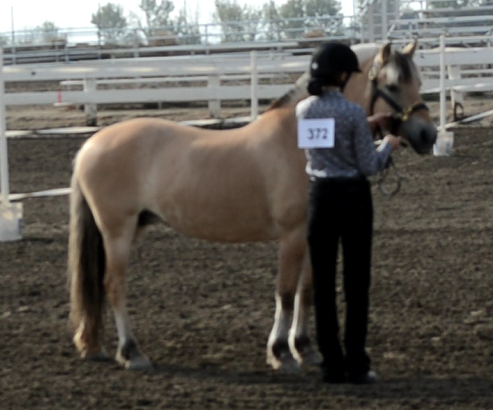 Our first showmanship pattern was a complete fail, mostly due to me not giving clear instruction of what I wanted — I pretty much relied on her to figure it out. During our second try I actually communicated to her what exactly I was asking, and she did very well. Communicating works wonders. For riding this time I was much less nervous. It seemed like Ypke felt that I wasn't about to puke out of nervousness, and she really had a "go with the flow" mindset. There were eight other horses in the arena with us, and she didn't get distracted once. She was listening super duper well and did everything (be it halting, backing, changing directions, circling, moving out, or slowing down) right when I asked. Yay, Ypke! I finally have proof that I do actually ride Ypke - YES! ﻿﻿﻿﻿Towards the end of the meet we worked on patterns. Our pattern was the following: Pick up a slow jog at Cone A, pick up the pace/move out at Cone B, halt at Cone C, back up four steps, and head back to the line. To sum it up real quick, we did the pattern amazing! Usually it is just okay and we have a brief disagreement, but this time it was actually great. Ypke is usually extremely impatient and hates waiting in the line, but she was more than willing to stand there patiently today. There was also a shocking twist at the end. She loaded in under 1 minute!! She just hopped right up into the trailer and didn't throw a tantrum when it was time to leave. I was seriously in disbelief. Usually it is at least a 1.5 hour struggle, but Thursday was a whole different story. It was almost as if I had a different Fjord. Also, fair is next week, so you won't be hearing from us on here until is over. August has been such a busy/hectic month this year, I will be relieved when it ends. Ypke and I will be doing showmanship, walk/jog English equitation, walk/jog Western horsemanship/equitation, and the Intro B dressage test. 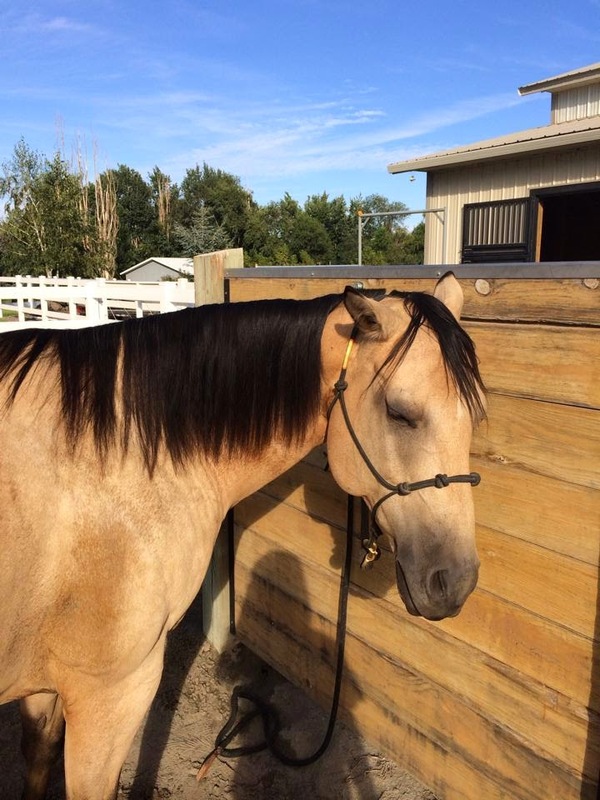 Jethro and I will be doing green horse showmanship, the costume contest, and the in-hand obstacle relay. While there will be no blog posts, I will try my best to keep their social media profiles active!